​Three bedroom, two bath condo. Great central location. Downstairs unit with fenced outdoor space wrapping around the front and along the side. Granite countertops in kitchen and bathroom. Stainless steel appliances. Dark cherry wood cabinets, laminate wood floors. Washer and dryer inside unit convey with sale. Ceramic tile bathrooms. Mirrored wardrobe closet doors. 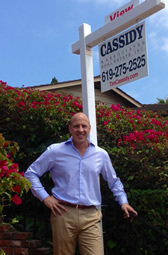 Buyer to verify all MLS information prior to close of escrow.